My father-in-law is awesome. Not only does he spawn great kids, he spawns fish themselves. 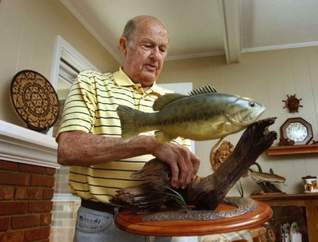 His wood carvings of fish in their environments have always astounded me with the minute detail and true-to-life subtle hues. Now Bob has been recognized by the Courier Journal. Perhaps you’ll meet Bob Rohleder on an autograph tour.